Kratom comes from a tree found in the South East regions, such as Thailand and it has been used to relieve pain for ages. Its effects are more or less the same as those of prescribed drugs, the only difference being that kratom can be addictive. Different vendors who deal with the product have introduced subsidized sales for the Black Friday, as will be discussed here. This company is located in Canada and has been selling kratom online for quite some time now. It deals with various types of the product, and sells kratom in different forms, including capsules and powder. The company sells its product at relatively low prices. The Golden Monk has a 25 percent discount for Black Friday on all its varieties of kratom. The new users also get a discount of 5 percent by using the coupon FIRSTTIME5 when making a purchase. Additionally, the Black Friday discounts are given based on the amount that one is buying. For example, the kratom capsules usually go for 29.99 but are now being sold at a price of 22.49 dollars. The Maeng Da (green, white, and red) is down to 22.49 from 29.99 dollars for 75 mg. The super Green Malay Kratom, Red Borneo Kratom, Green Borneo, White Bali, and red Indo Kratom range between 29.99-129.99 dollars usually. For the Black Friday, they are retailing at a discount of 25 percent. The discount is also applicable for shipping services. Among other companies that deal with kratom, The Golden Monk is giving one of the highest discounts on its products. PurKratom is located in Florida and is also a trusted company when it comes to offering quality services. It has an advantage as it is based in a state where kratom is legal. This company sells a wide variety of kratom products, including premium Bali kratom, Red vein kratom, Green Horn Kartom, red Kapuas, Super Green Kratom, red Bali kratom powder, Yellow Vein kratom, and many more others. It also offers kratom both in powder and capsules. PurKratom is offering its products at a discount of 15 percent for both the powder and the kratom capsules. For the capsules, the Green Kapuas Kratom is retailing at 10.99 dollars from 17.99 dollars. The Green Sumatra Kratom is selling at 17.99 dollars, Green Thai kratom at 17.99 dollars, White Borneo capsules at 18.99 dollars, and Red Vein Kratom at 20.99 dollars. 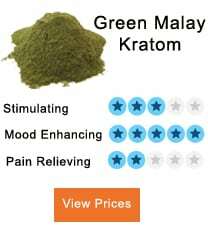 This website also sells kratom products in various forms, but majors in capsules. Besides selling its kratom at low prices, it includes incentives in its packages, for example, it gives a ten percent discount for purchases made with bitcoin. Additionally, customers get their purchases shipped for free. 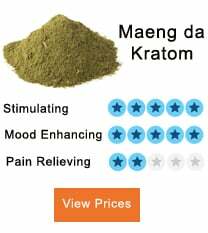 Its kratom comes in all the forms mentioned above only that it retails at different prices. For the Black Fridays, Kratomcapsules.com is giving a 20 percent discount for its kratom products. For instance, Bali Super Kratom premium is retailing at 18.99 dollars for 50 capsules. The Green Maeng Da Thai Kratom is retailing at 22.99 dollars for 50 capsules, and Red Vein Indo Kratom is retailing at 22.99 dollars for the same number of capsules. The Green Maeng Da Thai Kratom is retailing at 22.99 dollars for 50 capsules, and Red Vein Indo Kratom is retailing at 22.99 dollars for the same number of capsules. As mentioned before, the company ships all these products for free, which makes it cheaper compared to the rest. Now, if you pay for your kratom with bitcoin, you get a double discount. Therefore, kratomcapsules.com comparatively has an advantage over its competitors owing to its incentives. 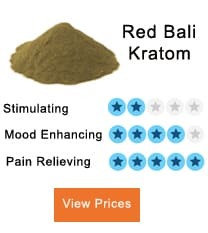 Red Horn Kratom - Is It Different From Red Borneo? This is one of the oldest company that sells kratom in the US. It is famous for providing shipping services for free for orders above 75 dollars as well as providing quality products. It also sells different strains of kratom and other herbs that serve similar purposes. Additionally, the company packages its product in powder as well as capsules. Phytoextracum is offering special discounts of ten percent for kratom and other products. For example, it has a 10 percent discount for Mitragyna speciosa which is a Gold Elephas Kratom extract. This product is, therefore, selling at 26.96 dollars down from 29.995 dollars. Instant Fiji kava also has a ten percent discount and is retailing at 23.96 down from 25.95 dollars. Sceletium Tortuosum standardized extract is now selling at 5.39 dollars from 5.99 dollars. As is notable, its prices are quite friendly to the buyer.